there is this web application that organizes stuff for our club station, in particular, collects logs. Individual OPs may use whatever logging software they prefer, so naturally, I use cqrlog. I want to export ADIF out of cqrlog and import into that web application. Doing so, I have a problem. This is about cqrlog version 2.3.0 as available for the Debian Stretch Linux distribution. So when exported it is always Y if any kind of marking has been done. And if imported it will be always Q in cqrlog if it is marked as Y in adif tag. And if exported again ... and again ..and again it will be Q in log and Y in adif tag. Only at first export the existing mark (if it is something else than Q) is lost and can not be returned. By adif specs using Y and R (received and Requested) could be possible. Perhaps this needs some fixing. Viloation of the "principle of least surprise"
This is a violation of the principle of least surprise. Or several such violations, actually. In normal extraction and interoperability work, as in my case. Also, I'm (unpleasantly) surprised to find that, from the backup (in $HOME/.config/cqrlog/database/*.tar.gz), I will not able to re-establish this field of my QSO db. Perhaps this needs some fixing. My opinion: Yes. This needs to be fixed. You should either copy whole ~/.config/cqrlog folder with all files and subfolders as complete backup, or do database backup with mysqlodump to get 100% identical copy. There are lot of log settings that are not copied with adif export that copies only qso contents. The ADIF spec allows the letters Y, N, R, Q, and I. These letters should be both imported and exported as they are, with no change whatsoever. Any other cqrlog behavior negatively impacts cooperation between cqrlog and other ADIF-consuming or ADIF-producing software. Only Y,N,R,I usage produces backup that can be restored 100%. How ever letters usage inside cqrlog must be studied first. 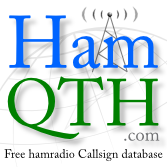 At least they are used in DXCC status, perhaps also elsewhere.